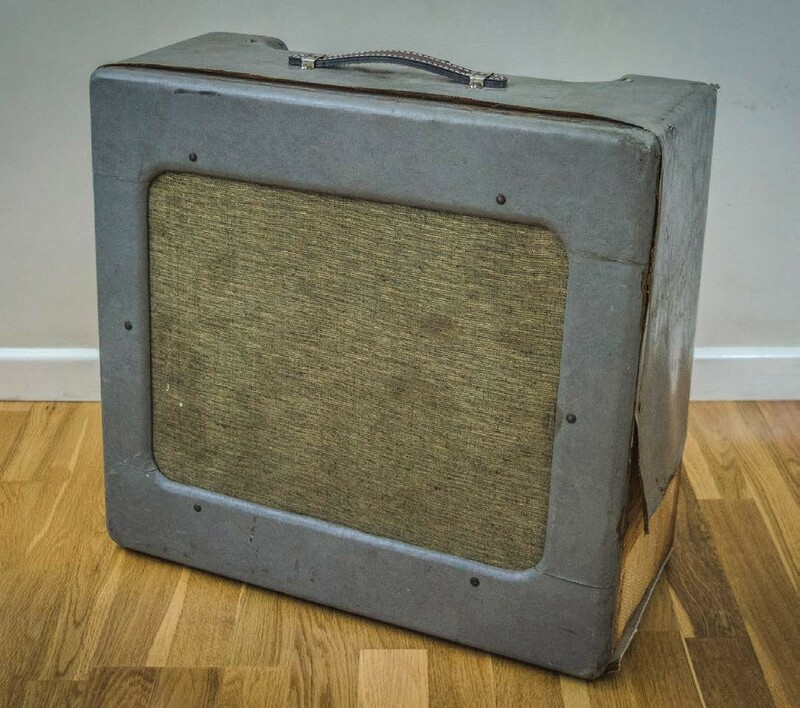 A friend of mine had been looking to buy a Fender TV Deluxe for a while, but one day when browsing on Reverb he came across a curious advert for a ‘1950s Fender Amp’. Not knowing what he had found, he sent me the link to see if I thought it was legit. At first glance it looked like badly recovered Deluxe, but then I noticed that it had six baffle bolts rather than four. The speaker looked bigger than usual, too, and the penny dropped. This wasn’t a TV Deluxe at all, but rather the bigger, louder and rarer TV Pro. Although it looked to be in pretty dire condition, and the seller was noncommittal about whether it worked, I felt it was worth a punt. The price was very low for a tweed Pro and the seller was okay about shipping it internationally. 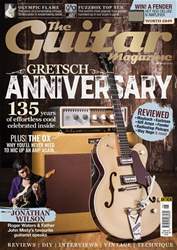 Sometimes buying vintage guitars and amps is like buying houses – you have to be able to see the potential behind the dodgy décor and unkempt garden. 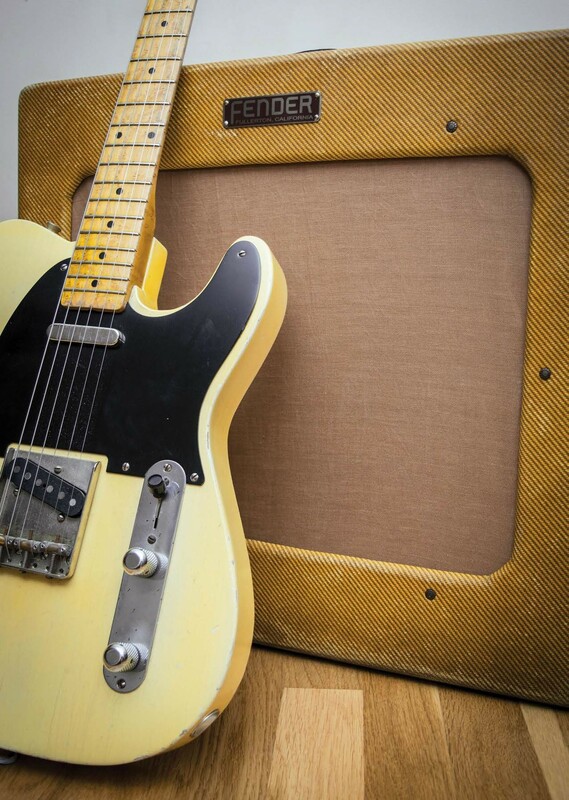 And despite the drab grey tolex and a changed handle, this Pro was remarkably original, the control panel was in excellent condition and both of the original transformers were still with the amp. The Pro arrived with a full set of Cornel Dubilier 20uF 450-volt filter capacitors. All four are blistered and it makes no sense to leave them installed. Originality isn’t a factor because these are clearly replacements. The giveaways are poor lead dress and the way they are soldered onto the chopped leadout wires of the original caps. Since this project is a complete restoration rather than a running repair, I decide to de-solder the original cap wires once the replacement filter caps are removed. I also remove both of the power supply’s 10K resistors, because they appear heat damaged and now is the best time to do it. One measures 12K and the other 20K, and both appear to be disintegrating after a long and hard life.